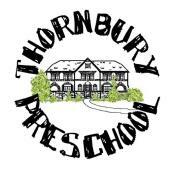 Thornbury Community Preschool was founded in 1971 by Mrs. Betsy Collier, a pillar in Thornbury Township. Originally located at the Bethlehem United Methodist Church, Thornbury Preschool is the oldest privately held preschool operating in Thornbury Township. In 1992, with the increasing enrollment of children and need for more space, Mrs. Collier relocated the school from the Bethlehem United Methodist Church to Wheatley Cottage on the grounds of Thornbury Township. Mrs. Collier established the school’s core program around the philosophy of “learning through play”, started the Annual Native American Festival and continued operating the school until 1999 when she sold the preschool to Mrs. Harriette Tuttle. For the next 16 years Mrs. Tuttle operated the school under the name of Thornbury Preschool further developing the school program to include such events and programs as Thornbury Preschool Summer Camp and the celebrations of Dr. Seuss’s birthday and Martin Luther King, Jr. In the spring of 2015, in preparation for retirement and relocating to a new home out of state, Mrs. Tuttle sold the school to Mrs. Chrissy Kirkland, the school’s director since 2009. Mrs. Kirkland plans to continue the program and traditions begun and developed over the past 40 years. Thornbury Preschool is housed in Wheatley Cottage. The building was named after Phillis Wheatley, an American Poet. Ms. Wheatley, a slave who was emancipated, expressed in poetry how she felt about religion, freedom, people, and America. Her collection of poetry became the first published book written by an African-American. In 1915, “The Shelter" which was founded in Philadelphia by Quaker women in 1822 to care for African-American orphans, relocated to the Wheatley Cottage in Cheyney, Pennsylvania. It adjoined the property of Cheyney Training School for Teachers, now Cheyney University. In 1965, it became a home for teenage girls and its name was changed to “Friends Shelter for Girls”. It continued operation until 1981 when it ceased to function as a group home. 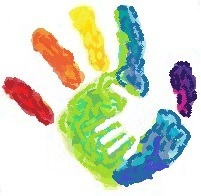 It was succeeded by the Friends Association for the Care and Protection of Children which functioned as an emergency shelter until relocating to West Chester in the early 90s. In 1992, Mrs. Collier relocated the Thornbury Community Preschool from the Bethlehem United Methodist Church to Wheatley Cottage on the grounds of Thornbury Township where the school has operated ever since. Chrissy Kirkland graduated from Neumann College with a dual Bachelor of Arts degree in Early Childhood and Elementary Education. Prior to working at Thornbury Preschool, Mrs. Kirkland was an aide at Neumann University’s Child Development Center and Carefree Learning Center, a preschool teacher for Chesterbrook Academy, worked as a private tutor for children in grades 1-8, and developed and taught a Math Enrichment program for children in grades 1-6 as an adjunct teacher at Delaware County Community College. When working for Thornbury Preschool as the 4 year old Readiness teacher from 2005-2006 she received her Private Academic Teaching Certificate. From 2006 until 2009, Mrs. Kirkland continued as a substitute teacher for Thornbury Preschool. In the Fall of 2009, once all of her children were in elementary school, Mrs. Kirkland returned to Thornbury Preschool as the Director and began teaching Readiness for both the 3 and 4 year olds. In the Spring of 2015, Mrs. Kirkland became the third owner of the school. She teaches PreK-4 Readiness Mondays, Wednesdays, and Friday and is the lead teacher for the PreK-4 Tuesday and Thursday progam. All four of Mrs. Kirkland's children attended Thornbury Preschool. Kristen Murphy is a graduate of West Chester University with a Bachelor of Science degree in Early Childhood Education. Mrs. Murphy taught Kindergarten at Show and Tell Preschool in West Chester and once her children were born she stayed home to take care of both them along with her nephew full-time. She has been a teacher at Thornbury Preschool since 2009 at which time she received her Private Academic Teaching Certificate and has developed the PreK-3 Readiness Program. Mrs. Murphy teaches PreK-3 Readiness and is the lead teacher for the PreK-3 Wednesday program. Both of Mrs. Murphy's children attended Thornbury Preschool. Rebecca Snyder is a graduate from the University of Delaware with degrees in both elementary and special education with a discipline in social studies. She has been both a learning support and emotional support teacher and worked in the Brandywine School District in Wilmington and the Chester Upland School District in Chester. Mrs. Snyder is certified to teach in both Pennsylvania and Delaware and has worked as a substitute teacher for the Chester County Intermediate Unit for 6 years and Thornbury Preschool as a substitute teacher for 3 years. In 2015, Mrs. Snyder joined the Thornbury Preschool staff and received her Private Academic Teaching Certificate. She is the Art teacher for PreK-3 on Tuesdays and Thursdays. Erin Lyons is a graduate of Wesley College and earned her Master of Science Degree in Elementary Education from Drexel University. Mrs. Lyons taught first and sixth grades at Bayard Elementary School and was a member of both the Articulation and Discipline Committees at the school. In addition, Mrs. Lyons was a first grade teacher at Keene Elementary School in the Christiana School District in Delaware. In 2015 she received her Private Academic Teaching Certificate and joined the Thornbury Preschool staff. She is the PreK-4 Art teacher on Mondays, Wednesdays, and Fridays. 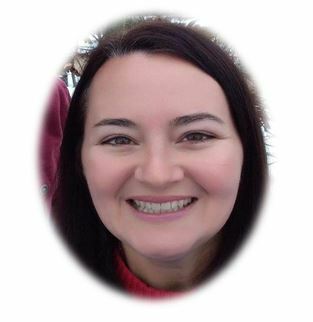 Susan Alloway is a graduate of Kutztown University with a degree in Elementary Education and earned her Masters in Library and Information Science from Drexel University. While studying at Drexel, Mrs. Alloway served as a long term substitute teacher in several school districts in Bucks County. She worked as a children's librarian at Doylestown Library for three years and at Henrietta Hankin Library for seven years. She served as a preschool enrichment teacher at West Chester Playschool for one year. Mrs. Alloway is currently the lead teacher for the lunch bunch program..